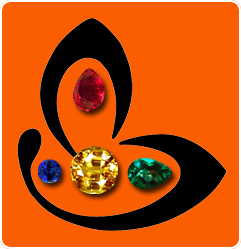 You are here: Home / Jyotish Gemstones and Talismans / Flawless Sky Blue Ceylonese Natural Blue Sapphire with scintillation unlimited with 20-cent diamond accents! A stunning piece of Timeless elegance fit for royalty. A gorgeous Venus-Saturn Talisman. 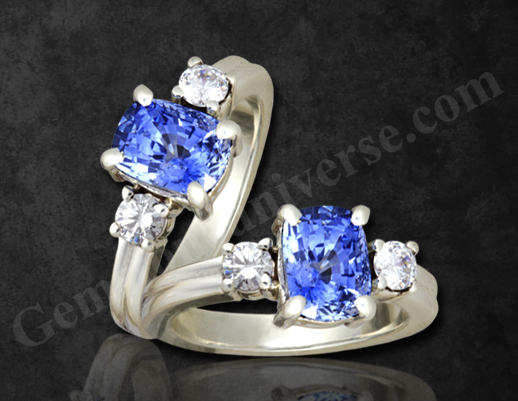 Flawless Sky Blue Ceylonese Natural Blue Sapphire with scintillation unlimited with 20-cent diamond accents! A stunning piece of Timeless elegance fit for royalty. A gorgeous Venus-Saturn Talisman. Flawless Sky Blue Ceylonese Natural Blue Sapphire with a scintillation unlimited with 20-cent diamond ascent gems! A stunning piece of Timeless elegance fit for royalty. A gorgeous Venus-Saturn Talisman. Comments This Venus-Saturn ring is of timeless elegance. It is just one of those pieces that are greeted with a stunned silence and a deep inner joy and this is what we felt when we first saw this ring after the consecration process. The centre piece is is a flawless 2.46 unheated eye clean Ceylon Blue Sapphire that has unbelievable fire and scintillation. The brilliance is coming out from the gemstone as a rain of shimmer. It is flanked on the sides with two 20 cents Diamonds as the accent stones. This ring will bless its wearer with the best of Venus and Saturn Energies. Miracle of Nature and we are thankful that we had the opportunity to craft this masterpiece. Note: Thank you dear Patron for your gracious comments. You made our day!